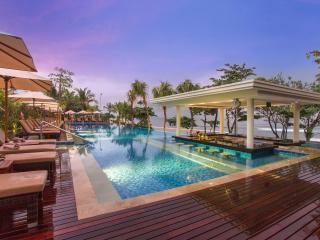 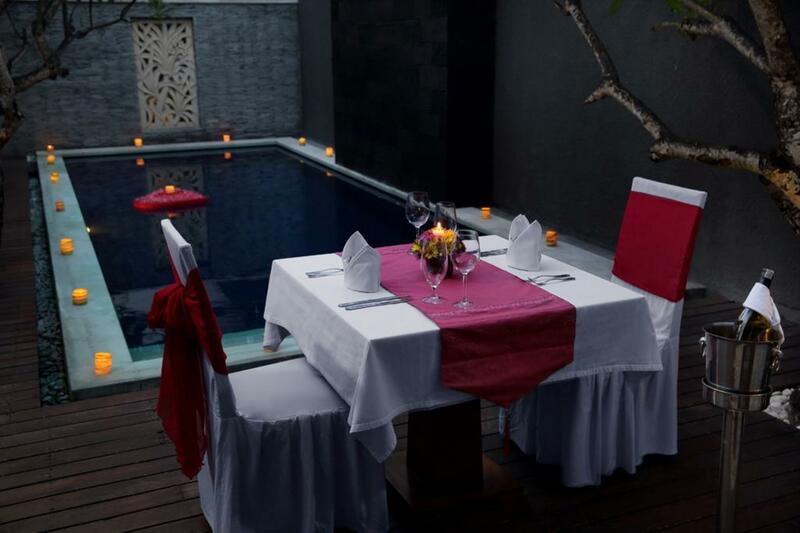 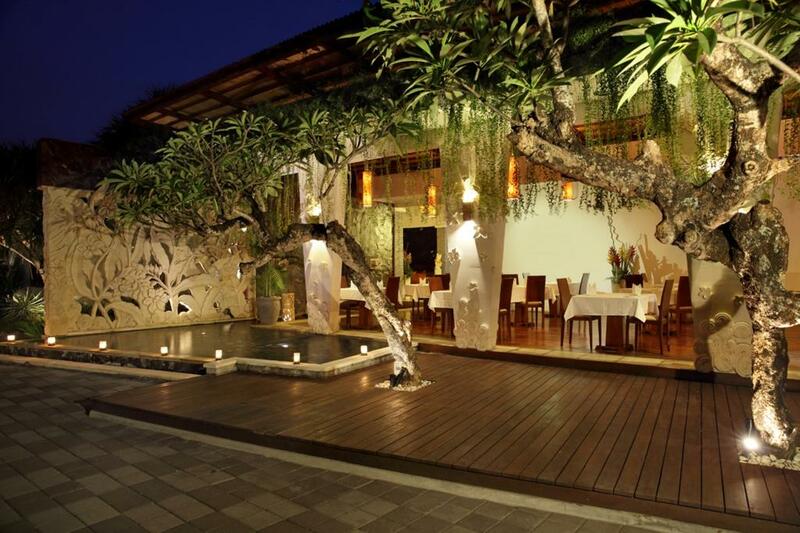 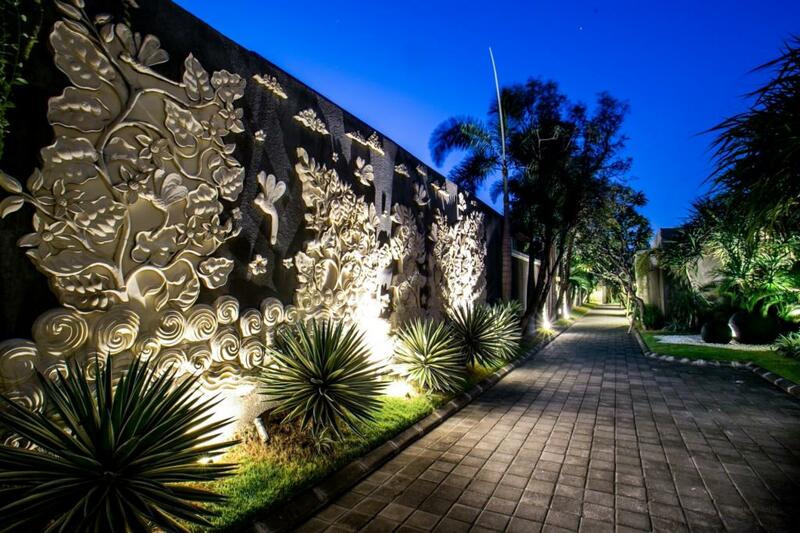 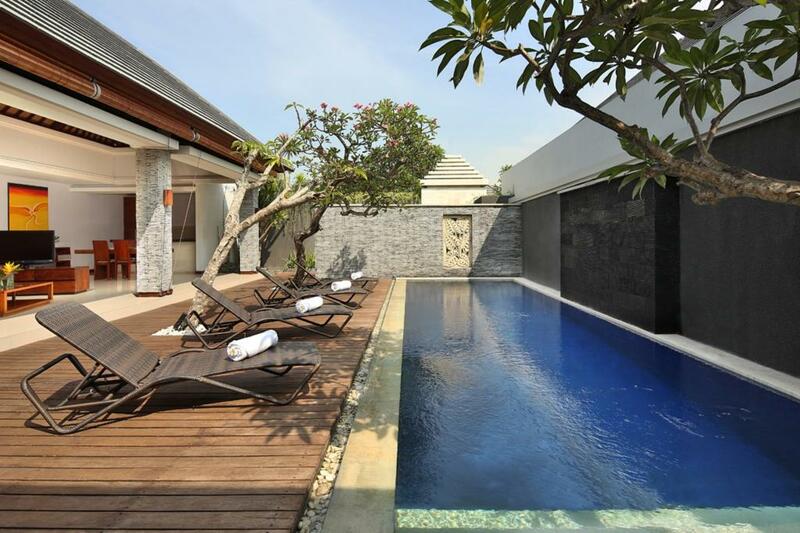 Set in Bali's premier entertainment and shopping district, The Wolas Villa & Spa is a short drive from the airport and the famous Kuta Beach, and less than 30 minutes from popular attractions such as Denpasar, the golf course and Sanur tourist resort. 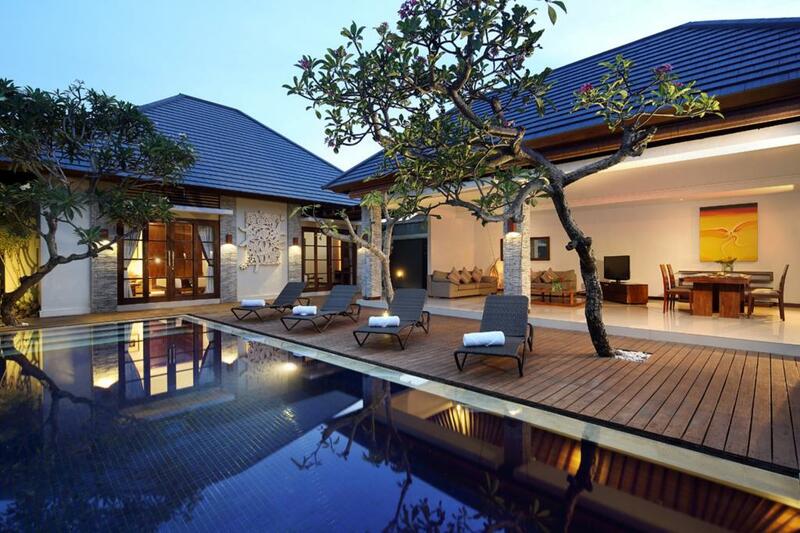 If you are looking for a tranquil retreat in the heart of Seminyak then the luxurious villas at The Wolas Villa & Spa are the ideal choice for your next Bali luxury getaway. 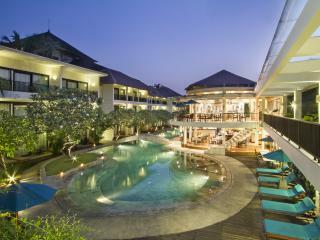 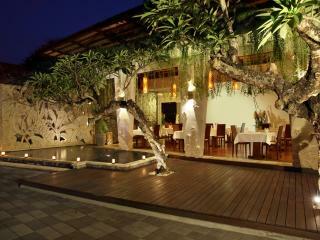 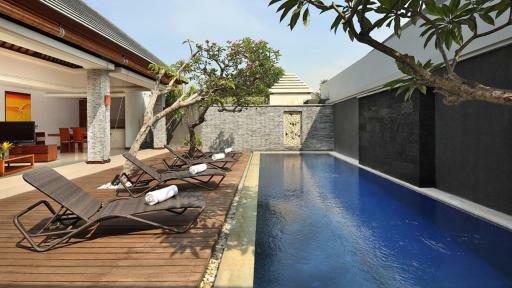 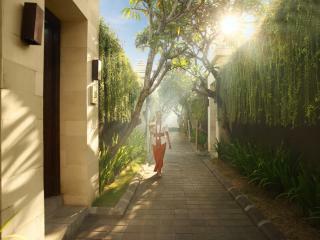 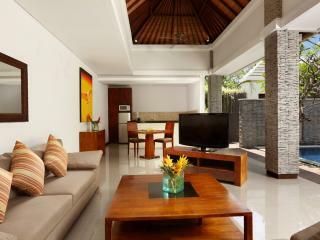 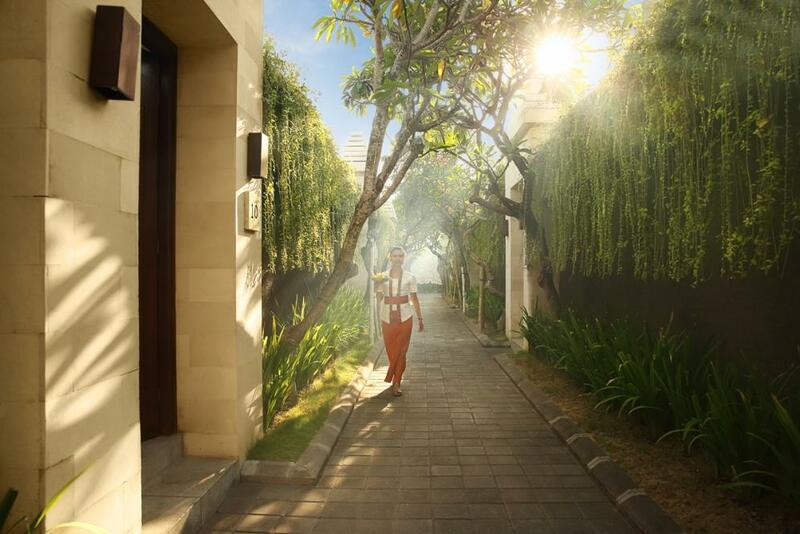 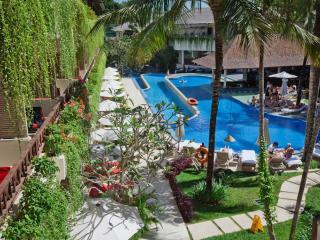 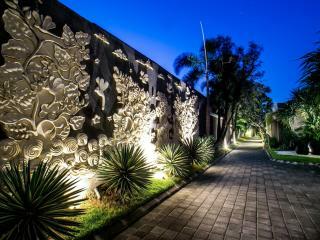 Featuring 1 Bedroom Villas and 2 Bedroom Villas, this Bali accommodation is stylish both inside and out. 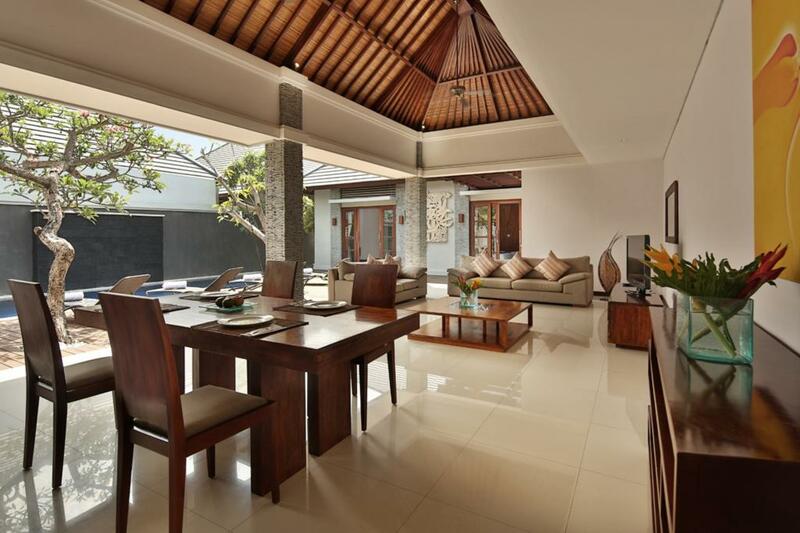 Equipped with chic furnishings, full kitchen facilities and spacious dining and living area, all villas at The Wolas Villa & Spa also come complete with their own private swimming pool and sundeck. 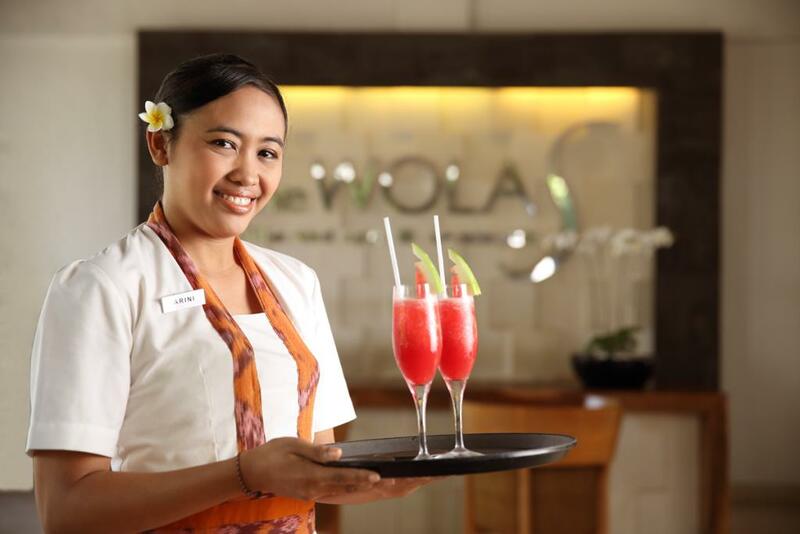 There is also a fantastic range of onsite facilities at The Wolas Villa & Spa including a restaurant, laundry facilities, room service, babysitting services, a tour desk, access to a Beach Club and spa. 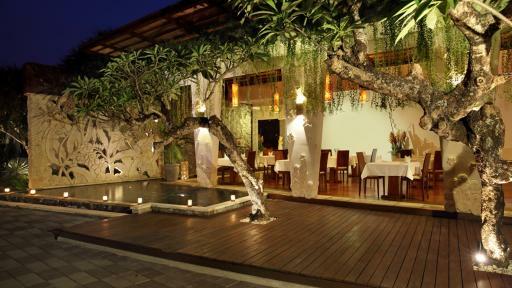 For affordable accommodation with a touch of luxury and elegance, it's hard to go past The Wolas Villa & Spa on your next Bali holiday. 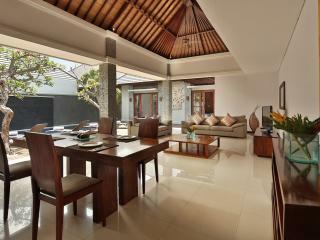 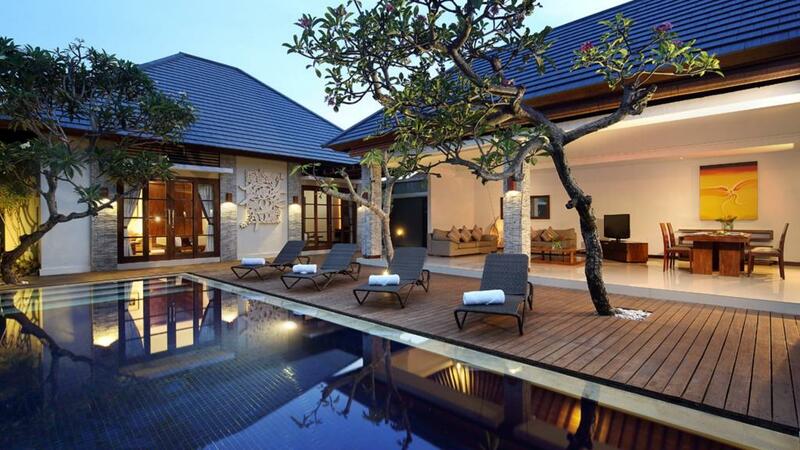 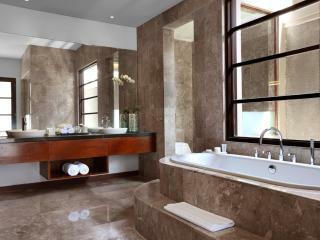 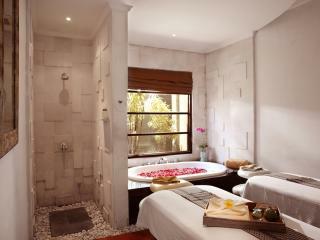 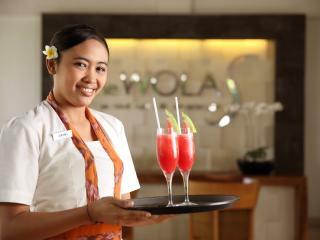 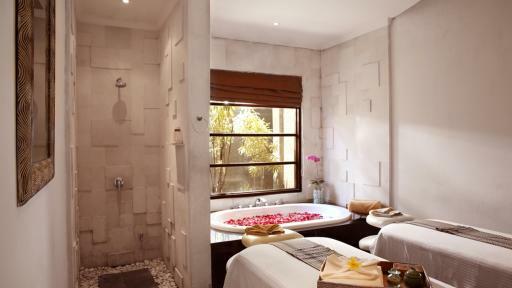 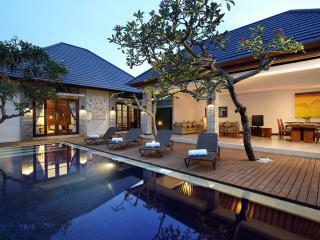 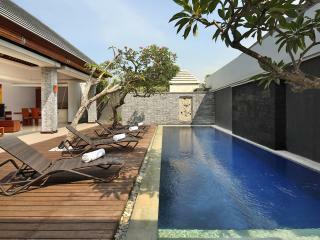 The Wolas Villa & Spa feature 1 and 2 Bedroom Villas. 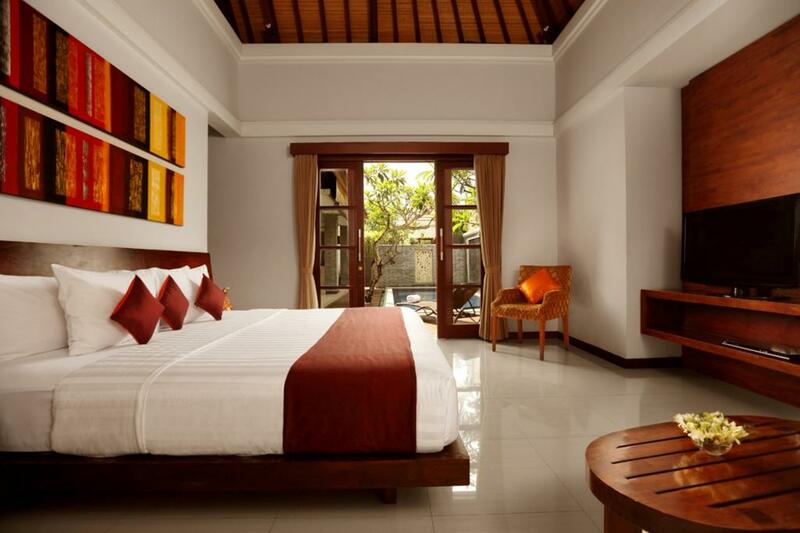 1 Bedroom Pool Villa: These villas are set in their own tropical paradise with lush gardens, modern bathroom with separate bath tub and shower. 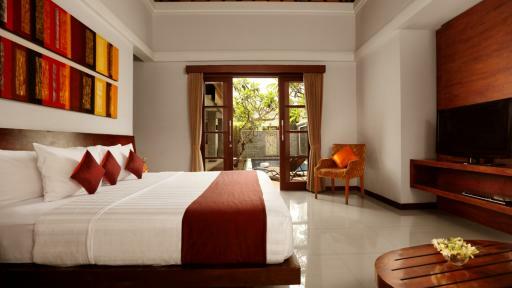 Room size is 200m². 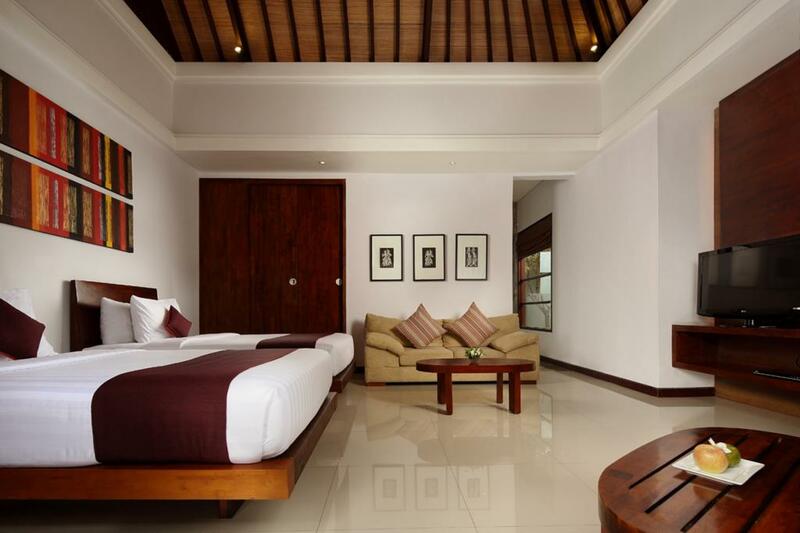 1 Bedroom Royal Pool Villa: The luxurious villa offers a contemporary design with influences of Balinese art, colours and fabrics. 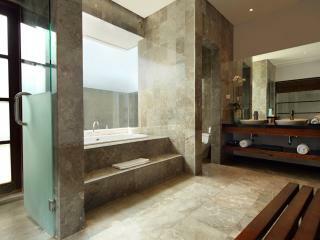 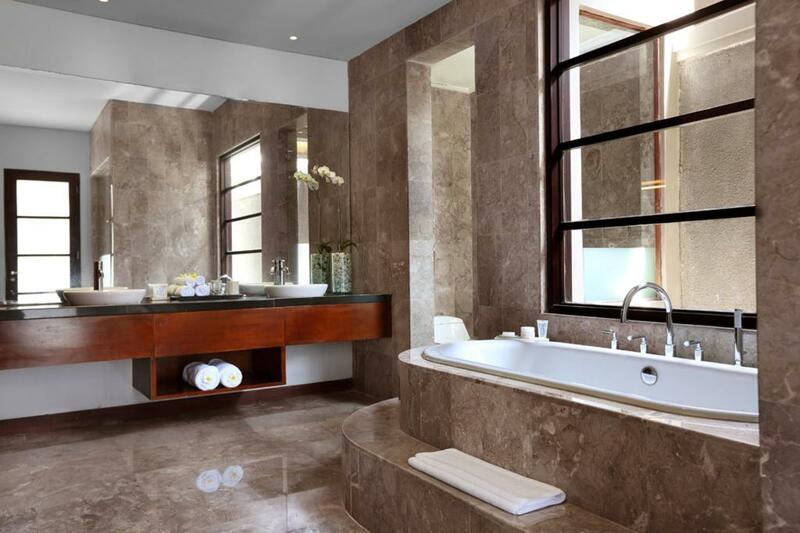 Featuring a double vanity in the bathroom, separate shower as well as an open lounge area and dining area overlooking the private pool. 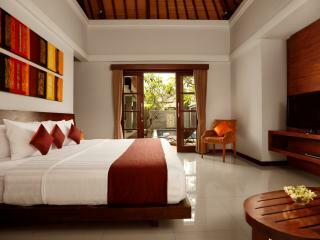 Room size is 200m². 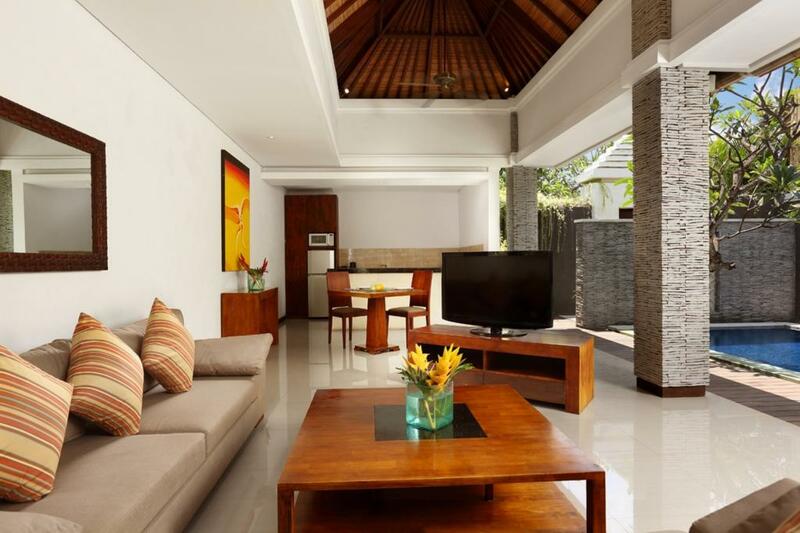 2 Bedroom Pool Villa: Featuring a shimmering 30m² private pool, this spacious villa is perfect for a family or two couples after a relaxing and luxurious Bali holiday. 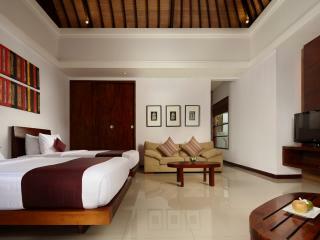 Room size is 300m². 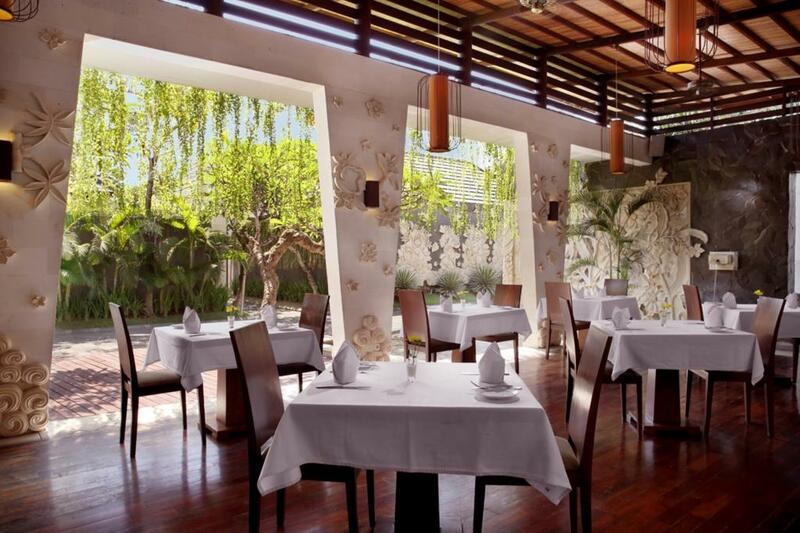 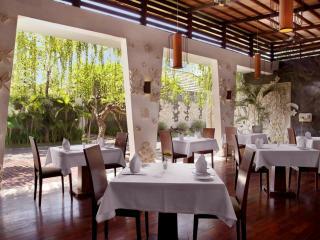 Open daily for breakfast, lunch and dinner the restaurant overlooks the fish pond and serves a range of appetizers, cuisines and beverages. Meals can also be enjoyed in the privacy of your villa. 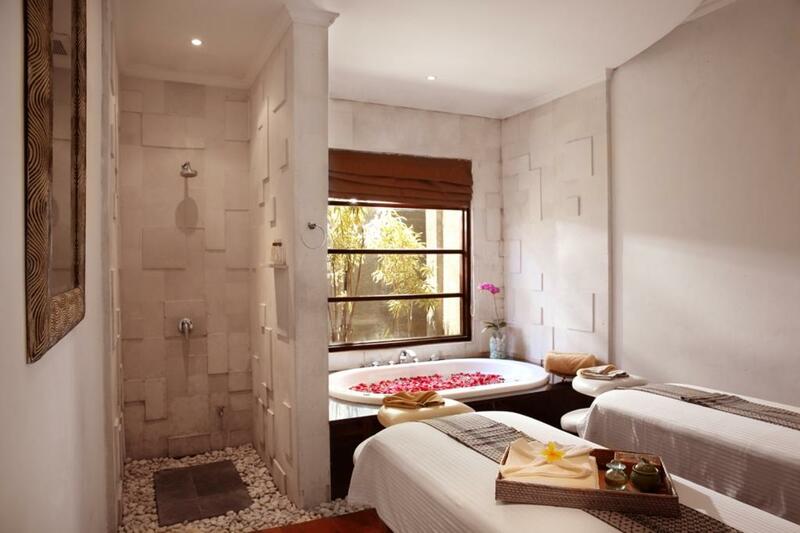 Spa: Combining traditional techniques with modern ingredients, the skilled spa therapists deliver a range of relaxing and rejuvenating treatments for the ultimate in pampering and indulgence.